Oldham, Knowsley and Manchester are the most challenging places to live in the North West, according to a new report published today. 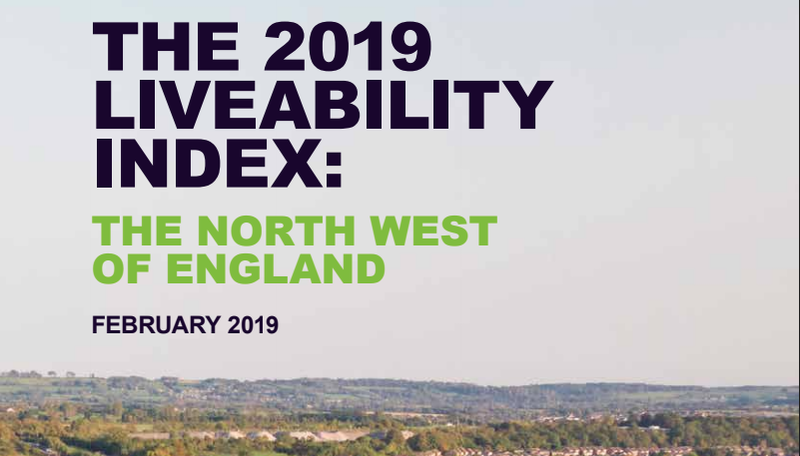 The first “Liveability Index” for 2019, which focuses on the North West, reveals the areas where people on average incomes are most likely to struggle to ‘get on’ and challenges existing thinking on where the most urgent need exists for more affordable homes to be built. The study, which has been developed by north west housing provider Your Housing Group together with a former HM Treasury economist, offers a new measure of ‘liveability’. It creates a much more real map of affordable housing need because it focuses not just on housing availability and costs, but the essential opportunities and amenities the housing needs to provide proximity to, such as jobs, wages that meet the cost of living and decent state schools. Following a successful pilot study conducted last year, today’s “North West Liveability Index” is the first release from a new national study being launched later this year, which will map, for the first time, average earners’ ability to live affordably in every local authority in the country. · Oldham is the most difficult area to live in for average earners: At first sight, it looks affordable, with below-average house prices (£148,628 vs £180,697 regional average) and lower rents (£551 a month vs £568 regional average). But lower average earnings of local residents (£23,803 vs £25,538 regional average) plus a low employment rate of 67.4% (vs 73.7%) means locals struggle to afford housing costs. This combines with other pressures for average earners, such as overcrowding in available housing and a challenging local labour market with a job density – a measure of job availability – of only 0.70 (0.81); all of which impedes opportunity scores. · Despite having reputations for more affordable house prices and rents, Oldham, Blackburn and Knowsley are in fact the most difficult places to live in for average earners. Manchester is also in the bottom five because of extremely challenging affordability and has amongst the greatest need for new affordable housing to be built. · Conversely, areas like south Lakeland, Fylde and Eden, which are renowned for high housing costs, are some of the best places to live in the North West for average earners, when the higher local average salaries are looked at alongside good opportunities in work and education, as well as good amenities on offer to local residents. · South Lakeland in Cumbria offers the best place for affordable living. Despite having higher average house prices (£269,364) and rents (£656), these are cancelled out by higher resident earnings (£26,212) and the highest employment rate in the region (86.5%). South Lakeland also scores highly on the availability of housing and desirability is buoyed by strong local wealth indicators such as a high proportion of owner occupiers and households prepared to pay a big homeownership premium over renting (+25 per cent vs +11 per cent regional average). Good wages and a healthy labour market are coupled with access to good schools, with high Attainment 8 scores (48.9 vs 45.3 regional average); making the area excellent in terms of offering opportunities to ‘get on’. Brian Cronin, CEO of Your Housing Group said: “This important new research reveals the hidden problem areas for average earners in towns and cities across the north west. Importantly, it also shows where we need to see the development of more genuinely affordable homes.